I’m excited to share another set of low-prep games! 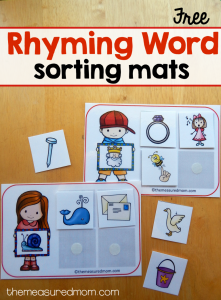 This time we’re reviewing the sounds of beginning blends. 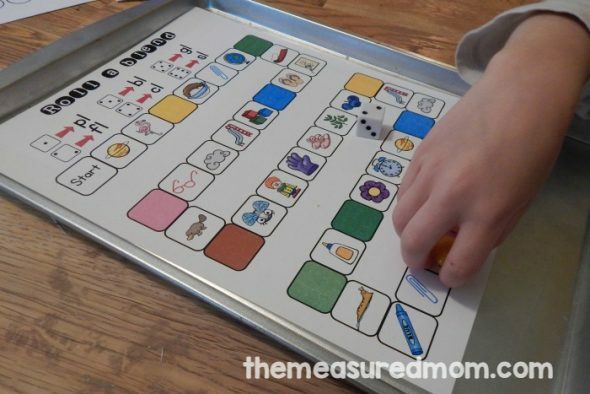 Have you seen my colorful follow the path board games that require only a die and playing pieces? 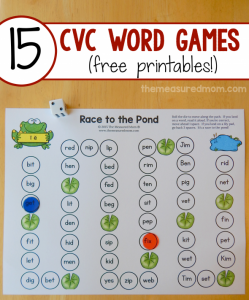 I shared a giant set of Roll a Short Vowel games and a set of Roll a Digraph games. Today we’re working on those tricky beginning blends! 1. 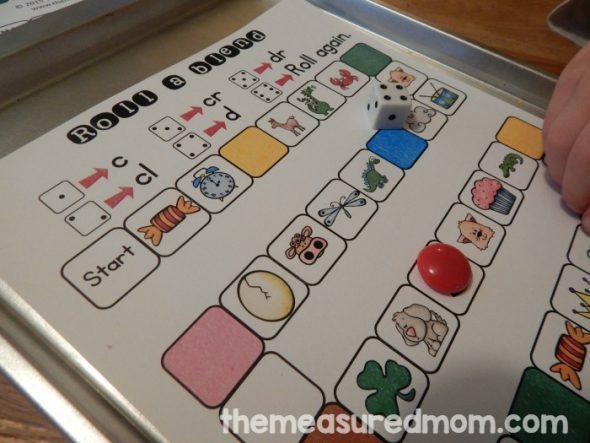 Print a game board. Gather two playing pieces and a die. 3. Whoever reaches the final picture first, wins! The first two games in the download are a great place to start if blends are new for your child. 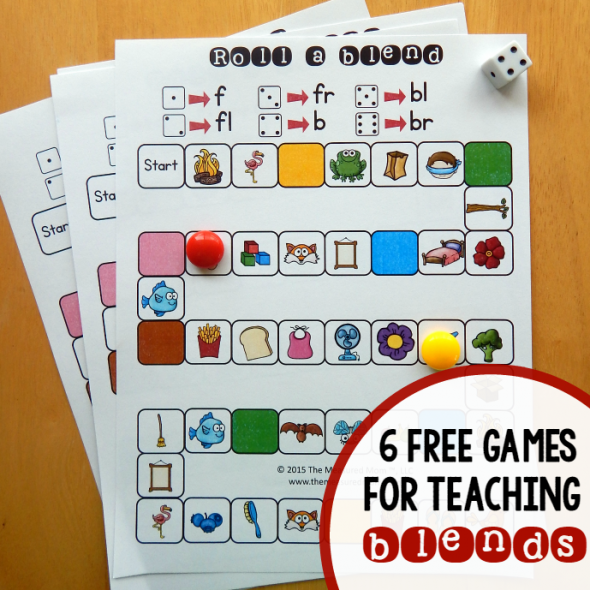 Because each blend starts with a different letter, these games will actually be more of a test of beginning sound knowledge. But by talking about those blends as you play, your child will start to hear those sneaky second letters. Normally when I’m teaching beginning sounds I’m careful to speak them correctly. For example, the letter m says “mmmmm,” not “muh.” But for blends I find it helpful to add that last vowel sound when enunciating the blend. We say that tr makes the sound “truh.” It seems to help my son hear those blends better. After the first two games in the download, they get tougher. 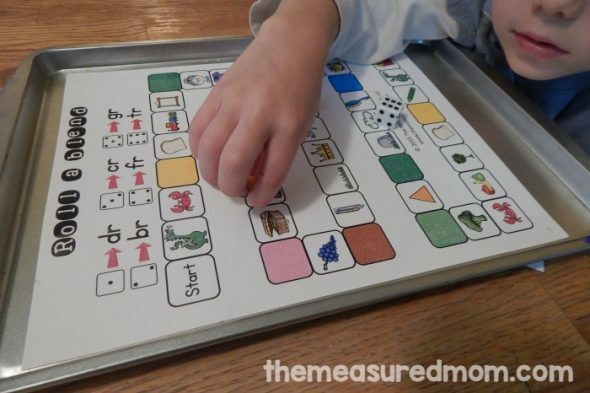 In the above game, your child needs to hear words that start with cl, cr, and plain old c. This will really make your child listen hard for those beginning sounds! Here’s another game that had him thinking… since we had plain old p and g mixed in with pl, pr, gl, and gr. The last game in the download is the toughest of all because all the pictures start with an s-blend. Did I mention that my son wasn’t excited to play these games at first? Actually he gave me quite a bit of resistance. Before you wonder why I force my Four (almost five) to play beginning reading games, it might be helpful to know that this kind of behavior is not unusual for him when it comes to doing something he’s asked to do. I get the same reaction when I tell him to clear the table! So I insisted, since I knew he could do these and would probably like them. Sure enough, he was happy by the end of the first game and wanted to play all six. We hope you enjoy them too! 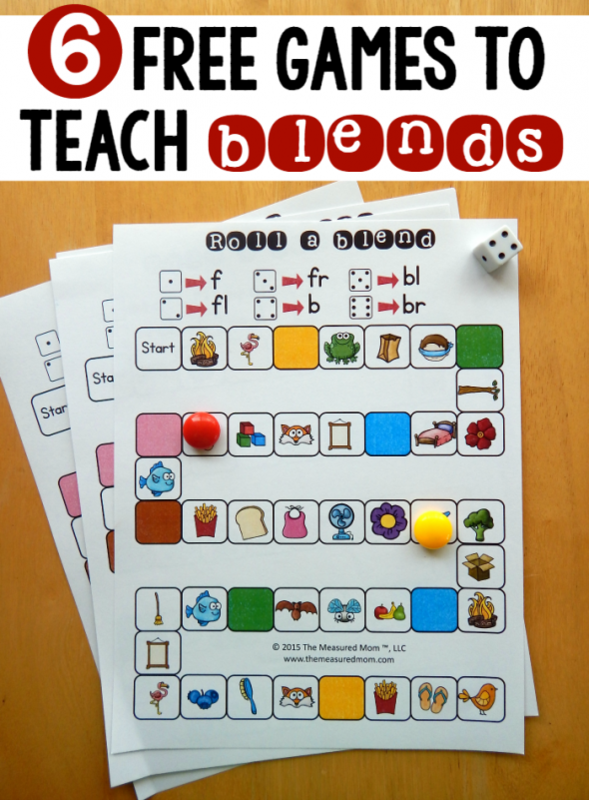 Looking for more free ways to practice beginning blends? 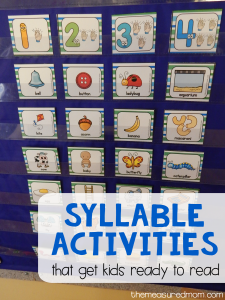 These games seem great and I especially can’t wait to use them with my second language learners! I do have a little question, what are the coloured squares for? Are they just aesthetic, or do they serve a purpose? Thanks for the freebies and all your hard work! 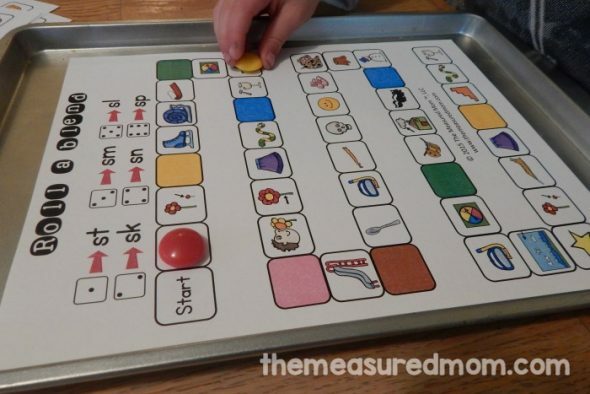 I just put those in so the kids would get a little break as they play the game…otherwise they have to examine the sound of the picture for every single square. Thank you so much for these picture mats. Hi, thank you so much for these freebies! 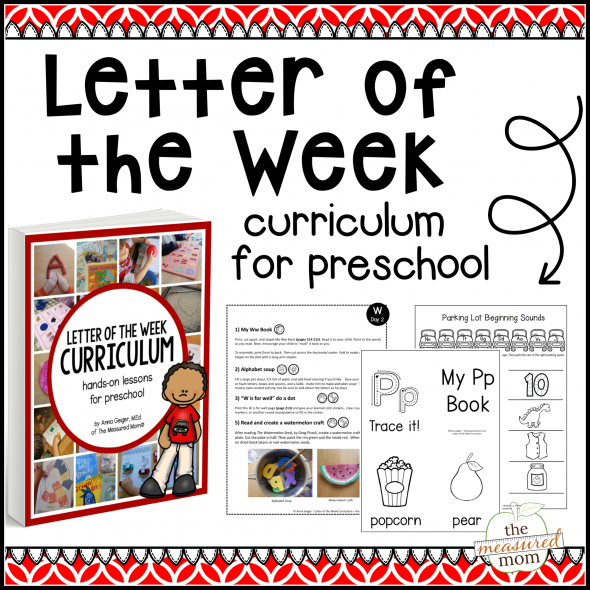 I am a first year kindergarten teacher so this is beyond helpful! Can’t wait to use them for guided reading! You’re very welcome, Michelle – I’m so glad you can use these! Oh my goodness, I love all the materials here! 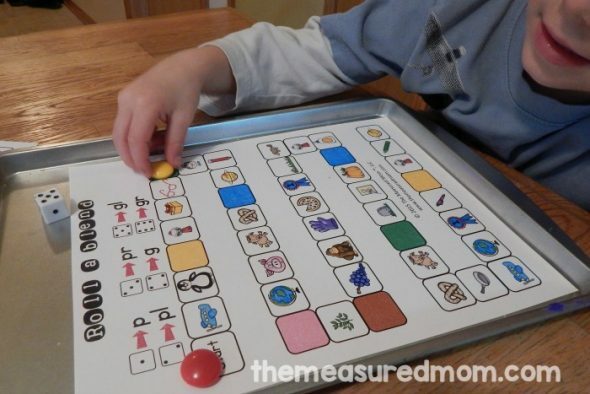 I’m a behavior therapist, who works with students with autism. I make most of my materials. But it’s so nice to come across beautiful, already-made, and free materials! Thank you so much! 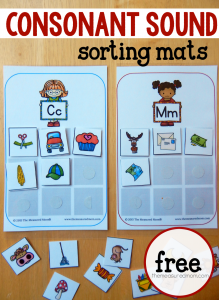 You just saved me lots of time and effort coming up with new games and activities! Yay – I’m so glad to hear that, Ashley! One of my main goals is to save teachers time and resources. I’m thrilled to hear that I can do that for you! Thank you so much for the kind words, Doloris! Thank you so much for the blend games. My students will love playing the games! I’m so glad you liked these, Lisa!